Shave biopsy: A thin piece of tissue is shaved off. 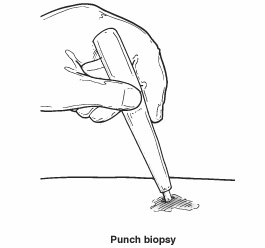 Punch biopsy.A small, round instrument removes a tiny core of tissue. Stitches may be needed.